Inspired produce. 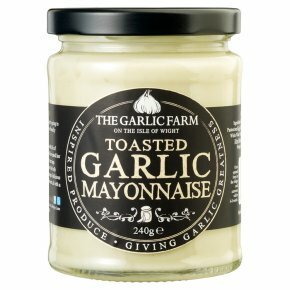 Giving garlic greatness.A wonderfully creamy and smooth mayonnaise with unique toasted garlic flavours. Add liberally as a topping to a traditional steak sandwich served with French fries, & fresh crisp salad. Serving Suggestion If you like our garlic mayo, you're going to love this. Perfect with chips or liberally added to a potato salad. Perfect with grilled meats, or when used simply as a dip.